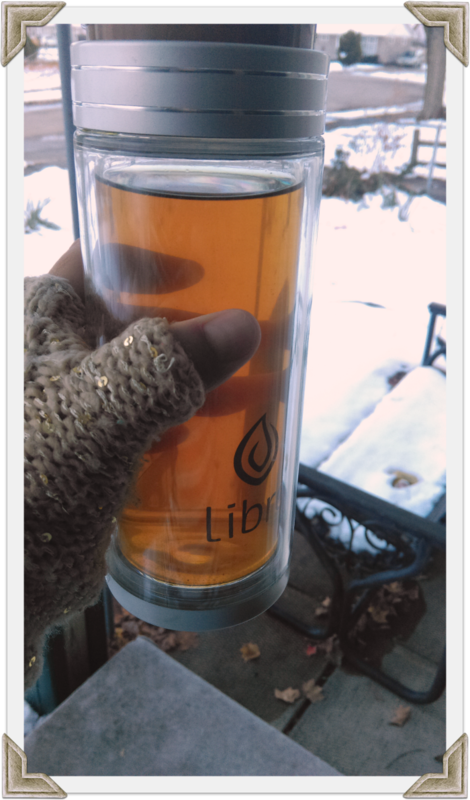 Last month I introduced you to the Libre Tea Glass, a pretty, practical, and convenient on-the-go glass with a removable filter for leaf tea. It's 100% BPA free, has a glass interior, and keeps drinks hot or cold. Today I'm going to share my thoughts on the glass after using it for a couple of weeks. Appearance: It's definitely a looker. I ordered their 14-ounce Classic Glass Tea Infuser. It's very sleek and sophisticated with shades of tan, gold, and silver. The outer material is a durable poly, while the inside is glass. Feel: Substantial...and this is a good thing. The glass has a bit of weight to it, which in my mind means that it's not going to flip over or blow away if I'm outside in the park, at a ball game, etc. Versatility: Super versatile! I can see myself using this glass year-round. Fill the bottom with citrus slices and/or seasonal fruit and herbs, then fill with cold (or hot) water for infused water on-the-go. Drinking with the strainer portion screwed on ensures that you're not accidentally choking on a loose seed or berry if you're grabbing a sip in a hurry. I don't normally buy loose tea, but that's only because I don't come across it very much. I have a tea ball that's never even been opened. So, I went on a search to find some. I really enjoyed the process of adding the loose tea to the strainer before closing it up and flipping it over to infuse; simply remove the strainer and drink from the base once it's finished. As a matter of fact, I liked it so much that I immediately went to an online loose tea source to place an order. But the cool thing is, is that you can still use it with bagged tea, as well. In a hurry? Simply add your tea bag(s) to the base of the cup, add your hot water, and then screw on the strainer portion. Once it's cool enough, you can drink your tea without removing the tea bags, if you wish. It also makes a great all-around portable thermos. Pour your coffee, water, or juice drinks in, screw on the lid and you're good to go. Rating: I give this an A since it works as advertised, is extremely versatile and looks pretty to boot. 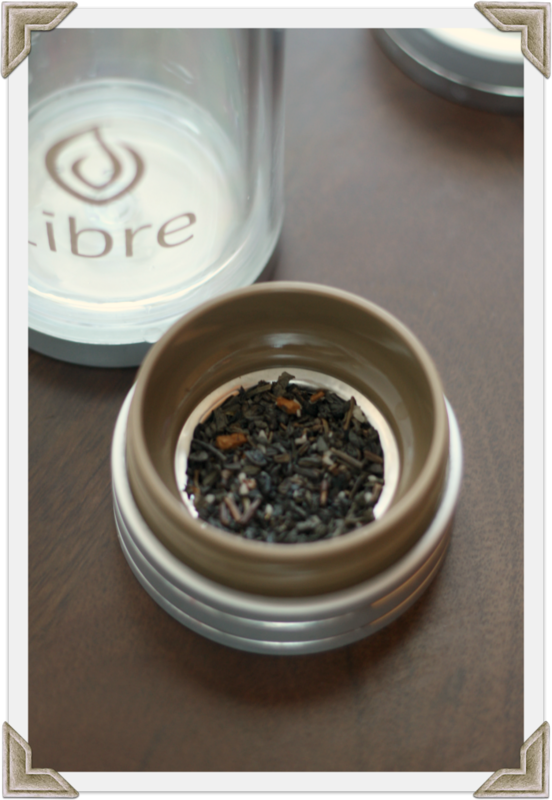 And with the holiday season upon us, Libre Tea Glasses would also make great gifts for your friends and family. Go ahead, give them an inspired and unique gift they can use all year round. Choose from their Classic Collection - sophisticated metal trim with gold detailed lids, or their Libre Life Collection. They have great deals on 6-piece Holiday Gift Paks for all the tea lovers on your list. My readers get to save (great not only for holiday gifts, but also for everyday calm moments or traveling)! 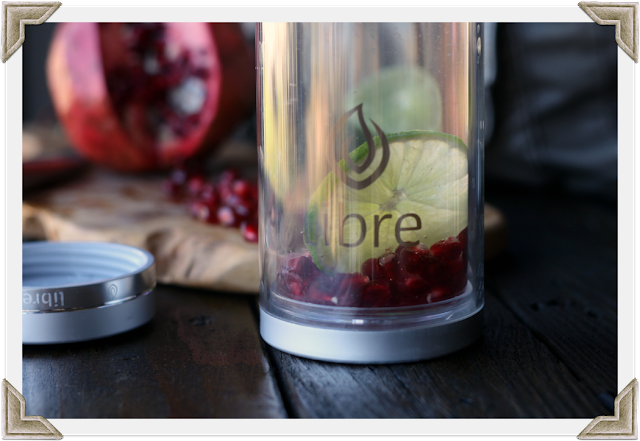 Get 10% off your own Libre Tea Glass by placing your order HERE and using code: USAMoms10. I received a complimentary Libre Tea Glass for the purpose of review. All opinions stated in this post are my own.